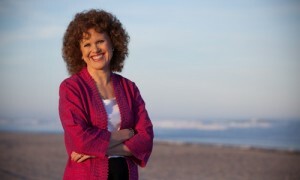 The mission of Lovefraud Education and Recovery, a New Jersey Nonprofit Corporation, is to educate the world about people with exploitative personality disorders. We do this by offering educational programs and conducting original research. If you’ve been targeted by an exploiter or manipulator, you know how destructive they are, and how important this mission is. Please give to the Lovefraud Education and Recovery Nonprofit. We’re a 501 ( c ) (3) public charity, so your donation is tax-deductible (in the U.S.). Click the donate button on the bottom of this page. Lovefraud Continuing Education is a program operated by the nonprofit. The education program offers online webinars to help both the public and professionals understand exploitative personality disorders. These include the American Psychiatric Association DSM 5 diagnoses of antisocial, narcissistic, borderline, histrionic and obsessive-compulsive personality disorders, along with psychopathy. Lovefraud uses the word “sociopaths” as a collective, categorical term for people who have these exploitative disorders. 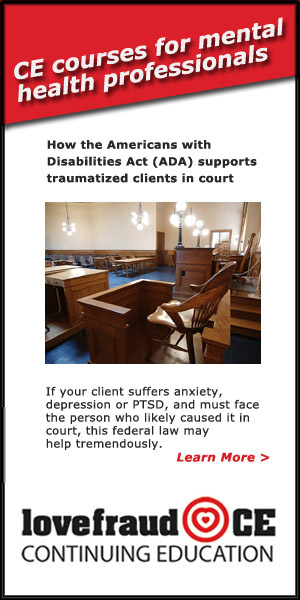 Psychologists and social workers may claim continuing education credit for the webinars. Lovefraud Education and Recovery is recognized by the American Psychological Association as an approved provider of continuing education. For more information, visit the Lovefraud Continuing Education online catalog. Your purchase of online courses supports the mission of Lovefraud Continuing Education, although according to IRS rules, course purchases are not tax-deductible (in the U.S.). Donna Andersen, author of Lovefraud.com, is available to speak to high school and college students. But the goal of Lovefraud Education and Recovery is to reach more students, more consistently. We plan to develop cost-effective education packages that can be offered to schools and colleges. We will teach students to spot and escape exploitative relationships before the predators ruin their lives. Most research on exploiters — people with antisocial, narcissistic, borderline or obsessive-compulsive personality disorders, or psychopathy — is conducted on either prisoners or college students. Although millions of disordered people live in the community, very little research is conducted with them, or with the people they target. Since it was launched in 2005, Lovefraud.com has collected a wealth of data from survivors — and even the occasional sociopath — about their experiences. We are analyzing this data to present our findings in scientific journals, in order to advance true understanding of how disordered people affect their partners, families and associates. 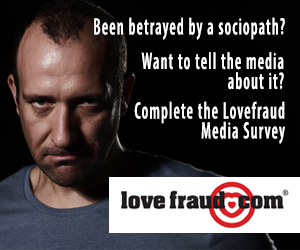 Many, many readers have written to Lovefraud.com, telling us that the information we provided saved their lives. We are gratified to make such a difference for people, but we know much more needs to be done. Please donate now to the Lovefraud Education & Recovery Nonprofit. Any amount helps. We’re a 501 ( c ) (3) public charity, so your donation is tax-deductible (in the U.S.). Together, we will begin educating the world about sociopaths.